About 3 years ago I had picked up some albino lads from a pet store. 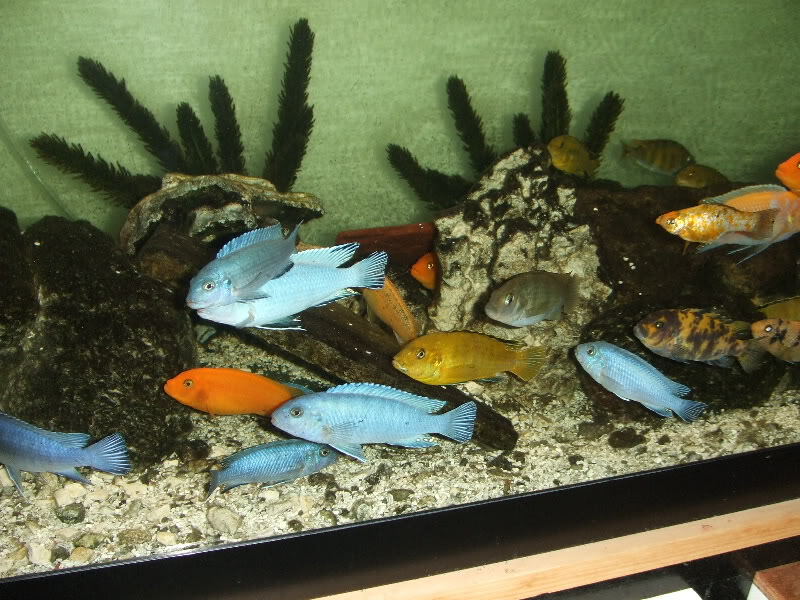 I grew them up and I could never get the 2 females to breed to my wild males and they eneded up kicking the bucket. 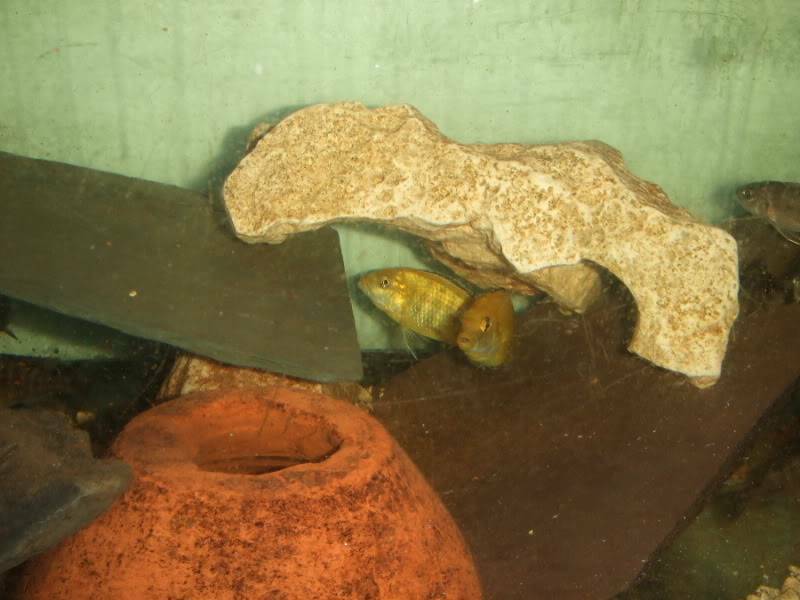 The male I got to breed to a electric yellow female. I grew up the young but they were kinda dull looking. as they grew up they got more color. I realy think the albino labs have not been refined as a strain. I really feel they need a few more genarations back crosses to good yellow lab stock. 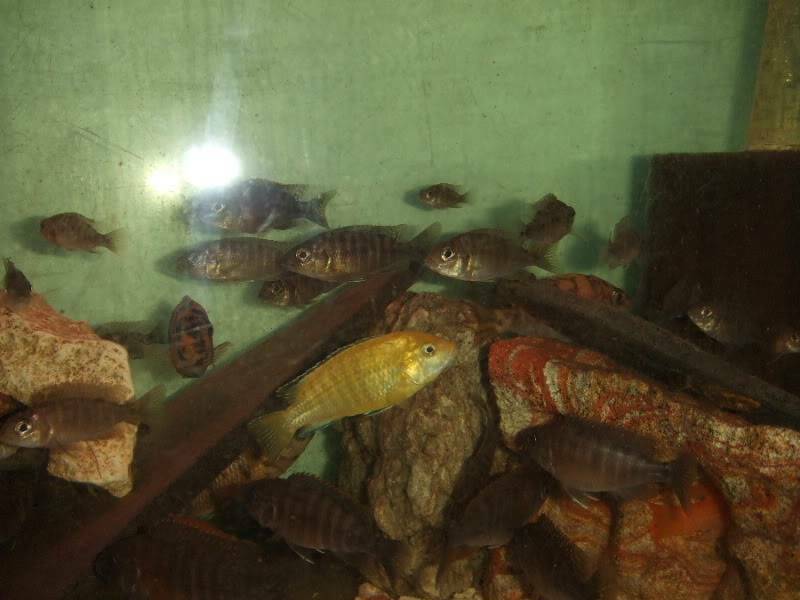 Most albinos Mbuna in the hobby are hybrids. 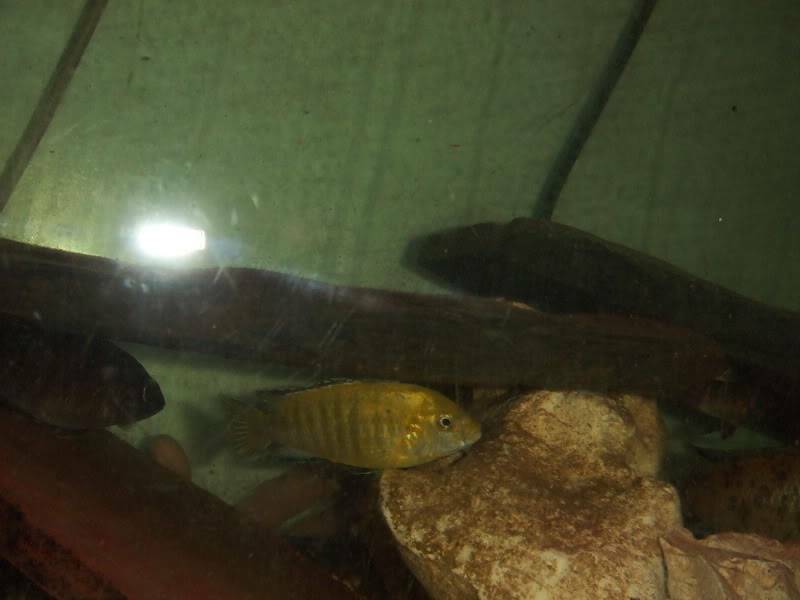 Any whos I never got any big spawns out of the females even though the females produced nice clutch size with other males. I think all I got in 3 spawns were about 10 fish out of that a few died as I was growing them up. 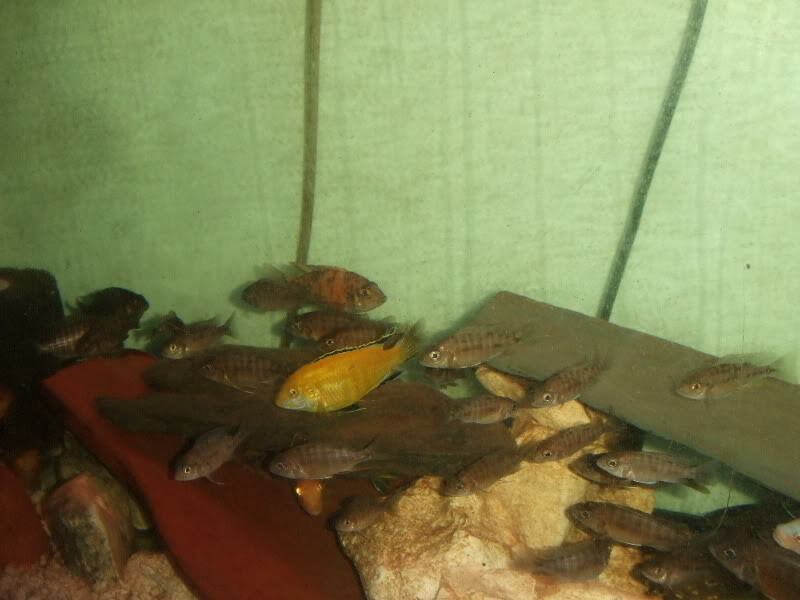 I ended up with all males and one female. I sold all the extra males off and kept 3 for myself and the one female. They bred last month and I got a small clutch of 2 normal possibile hets for albino which I dumped into the tank with the parents. They spawened the other day and I striped them today and got about 10 wigglers 4 albino and about 6 normal possibile hets. They same day this pair spawned my other male het for albino the brother to this male spawned with a electric yellow female I got off ratuge from this forum. I have 2 white labs, I am getting rid of. Thanx but that would only set me back in my project. I have F1 Lions cove yellow labs. 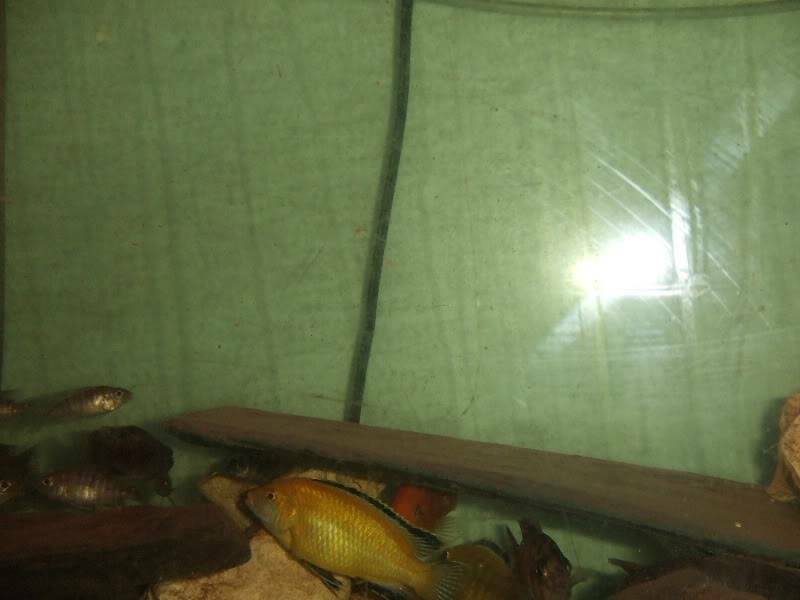 I had bought 3 pairs of wild caught about 2 yeasrs ago. I have a lot of F1 at breeding size. No Vinman, these are the whites not Albino. I am going to take these back to the guy I got them from.